Areas serviced: Kings Meadows, Newstead, Norwood, South Launceston, Youngtown. Bus continues to Wellington St, Stop 6. 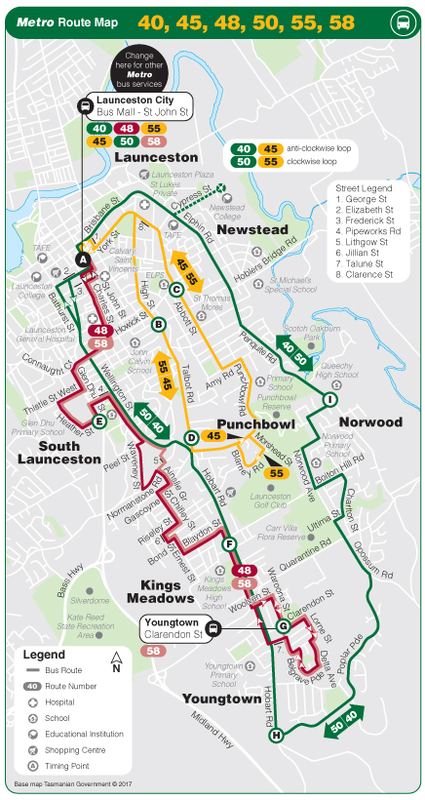 Bus travels via Newstead College. Bus continues as an inbound service.